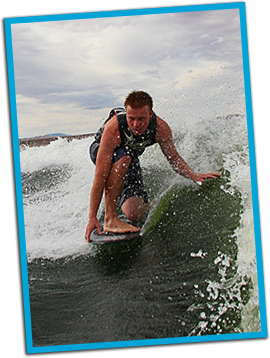 Lake Powell jet ski rentals, PWC rentals, Personal Watercraft for the wakeboard, waterskiing, and water enthusiasts. Affordable boat rentals and water sports lessons. 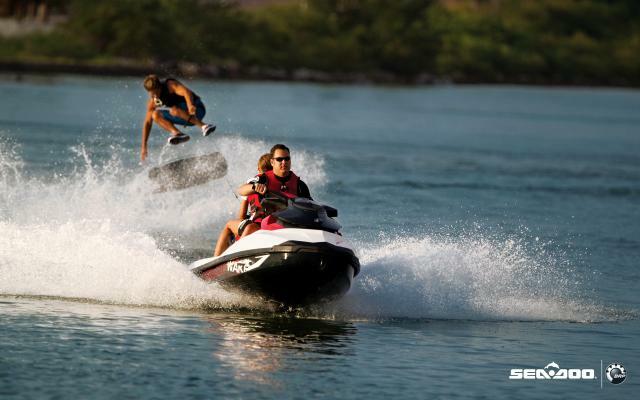 At Goplay Lake Powell we take pride in offering the best in personal watercraft, waverunners, jet skis and boat rentals. You can rent on our personal watercraft with a wet suit,tube,and skis in one of our water sports packages and enjoy an unforgetable ride. All of our watercraft are 130 HP or more and are 3 seater big enough to pull a tube or wakeboarder. 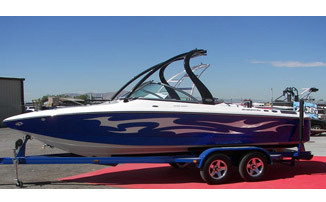 We maintain high standards for performance making sure you have a reliable watercraft for you Utah Outdoor Aventure. 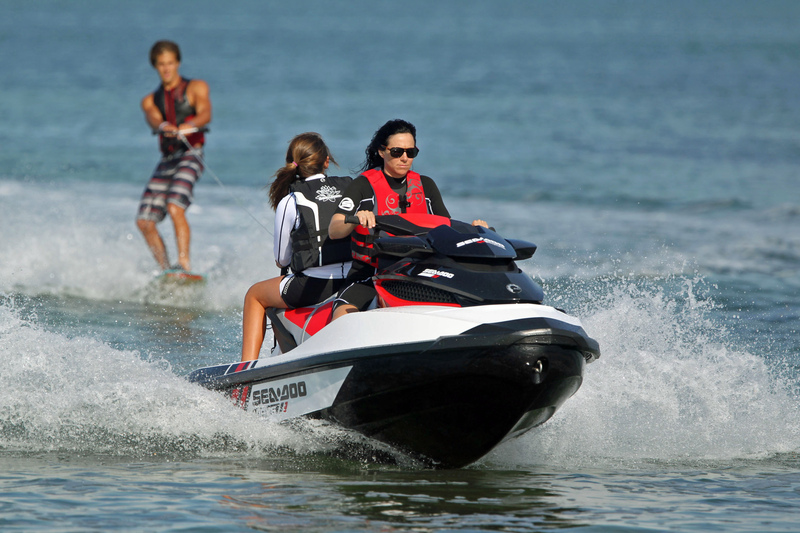 Sea Doo GTI 130:You will notice a form fitting narrow center for more comfertable riding. The seating is super padded and is comfortable for hours. 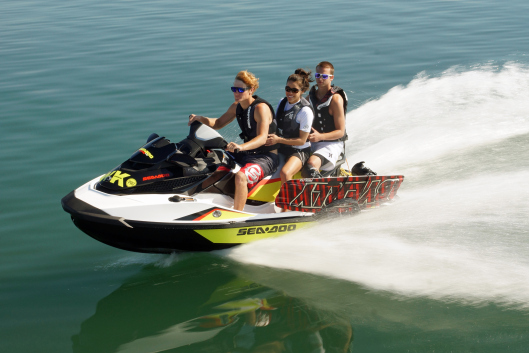 There is room for three on the Sea Doo GTI and has enough get up and go to pull a tube wakeboarder or water skier. Great 3 seater machine with plenty of power. 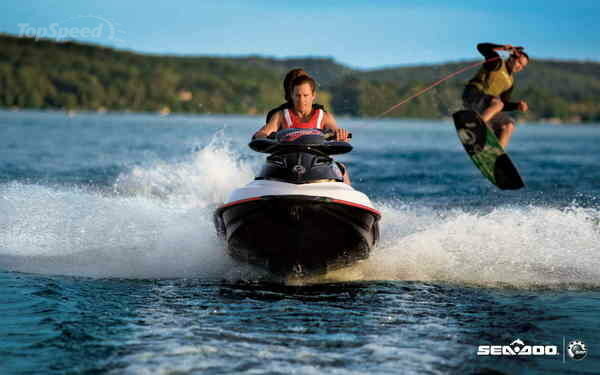 Sea Doo Wake 155: Sea Doo Wake 155 is designed for watersport in mind not just your casual riders. This wave runner is designed to make water sport as great as you imagined with added features such as added ski modes, cruise control, ski pylon keeping rope high out of the water makeing pulling easy. Sea Doo Wake Pro 215: Super charged, intercooled 1503 SC Rotax 4-TEC Engine provides utra high performance and pulling power for all of those wakeboarders, wakeskaters and tubers that loved to be pulled behind a PWC. 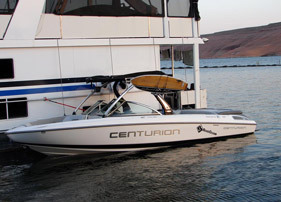 Wake package including cruise contral, ski mode, 3 position ski pylon, removeable board rack, fold down reboarding step. Goplay Lake Powell is Lake Powell’s premier source for water craft rentals. Rent a jet ski on site and enjoy the convenience of already having your water craft at lake side (ONSITE). Many would rather do a traditional rental (off site) where you hook up and pull to the lake yourself (OFFSITE). Lake side pricing at Lake Powell is around $295-$335 per day, offsite depending on location can run $150-$225. Rent a Jet Ski and GO PLAY on Lake Powell. Different rental locations & models: waverunners and jet skis are available at diffent locations in Utah, Arizona & Nevada. 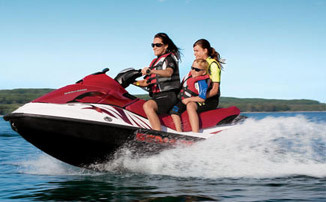 Riding a personal watercraft is one of GoPlay Lake Powell's most popular activites. Sometimes renting a boat is out of the budget and some people prefer the small water craft. A PWC or waverunner is a small vessel using an inboard engine powered by a water jet pumpo as it primary source of power. 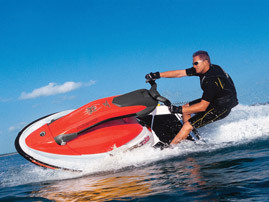 Most of the Personal water craft that we rent are rated for 3 riders and can pull a tube or wakeboarder. Did you know? PWC are subject to the same laws and requirements of any other boat plus a few laws specific to PWC. Know the waters you operating in so you can avoid weed,sandbars Rocks etc. Sea Doo Wake 155 and Wake Pro 215 are designed with the water sports enthusiast in mind. These machines are designed to pull.